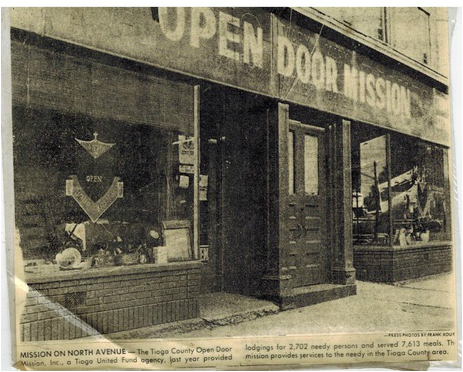 The Tioga County Open Door Mission officially opened its doors in 1968 and was founded by Reverend Means, a man committed to addressing the concern of homelessness in his community. Reverend Means worked for Tioga General Hospital and saw the need for a men's homeless shelter in Tioga County, and decided to take action to deal with this social concern. Means began by trying to create a facility where homeless men could take up shelter, unfortunately the community was vehemently against the establishment of a homeless shelter. Many believed that it would bring criminals, trouble makers and other unwanted men to the village of Owego. Means, committed to finding a way to help the homeless found a loop hole to make his dream of a homeless shelter a reality. Means was informed by a local sheriff and judge that if he used the home he rented as a shelter no one could stop him. Means, his wife, and four young children lived in the top floor of the home, while the lower floor was created into a men's homeless shelter. The Mission incorporated in 1970 and established a board of directors. The founding members of the board included; Kenneth Simpson, Thomas McCormack, Beatrice Patch, James Cavataio, James Van Scoy, Robert Fisher, Helen Fisher, Charlton Cobb, Edna Cobb, Alexander DeFilippio, and Gerald Mead. After incorporating, Mission moved out of Means' home and into a location next to Court Street bridge in Owego. Unfortunately the building burned down. Reverend Means left the Mission soon after its incorporation to go to Florida and start another shelter. In 1970 the Mission also began to expand its services. 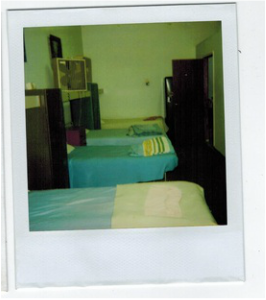 In order to fund the men's shelter used clothing and other items were sold. Through this small thrift store the Mission started to develop outreach programs. When a person came into the thrift store and needed clothing for their children, or maybe did not have the money to purchase items the Mission began to give away clothing. In addition to clothing the Mission slowly began to help people with food needs as well. 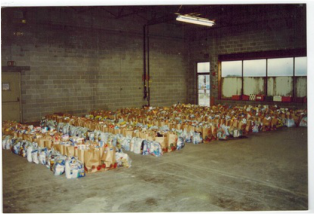 Every year the Mission provided Christmas and Thanksgiving food baskets to families in need for the holidays, a tradition that is still going on to this day. In addition to the baskets the Mission made hot meals for Christmas and Thanksgiving. 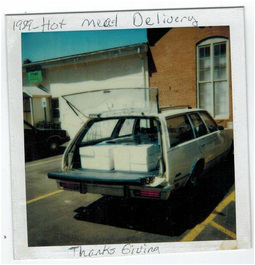 Also the Mission made and delivered hot meals for Mother's day and Father's day. Children's events have had a long time tradition with the Mission as well. 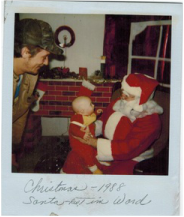 During the 1970s the Mission also began to hold their annual Christmas party always complete with a visit from Santa. Easter was also celebrated with a children's party. The Mission moved to a location on North Avenue after the Front Street location burned down, but in the early 1980s the Mission's North Avenue location too was devastated by a fire. After the fire on North Avenue the Mission did not have a location for a time. Local churches and other organizations helped the Mission by donating spaces where volunteers could sell clothing in order to help raise money for a new building. For a period the Mission was being run out of a building on McMaster Street in Owego. There was no heat or bathrooms in the building, a generous neighbor let volunteers use their bathroom when they were working in the make shift thrift store. Sadly during this time the Mission did not have a homeless shelter due to the lack of a location. 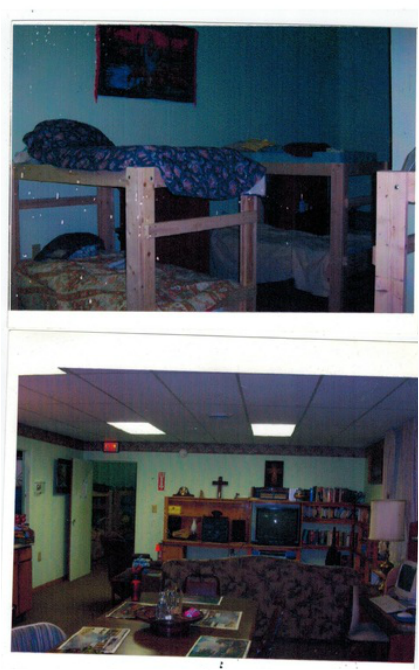 In 1983 the Tioga County Open Door Mission was given its current location, from Paul Cavataio, for a generously reduced price. Paul Cavataio was the brother of James Cavataio one of the founding board members and strongly supported the Mission's work. 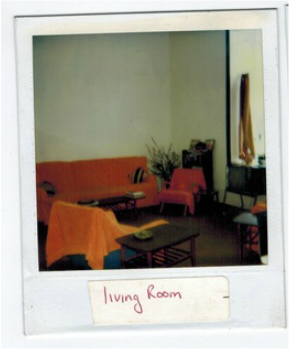 After moving in 1983 the Mission began a small food pantry that barely filled a closet, but the Mission did all that it could to keep this small pantry stocked and ever growing. It was also during this time that the Mission also began to offer financial assistance to families and individuals in need. With the move the Mission was also able to reopen its men's homeless shelter. Today to Mission still strongly is devoted to addressing the needs of the homeless in our community and has a eight bed shelter. In addition to the shelter the Mission also now has transitional housing, a house located at the Mission that provides men with a stepping stone as they begin to move beyond the shelter. Since moving into the Mission's current location it has continued to expand in the space. 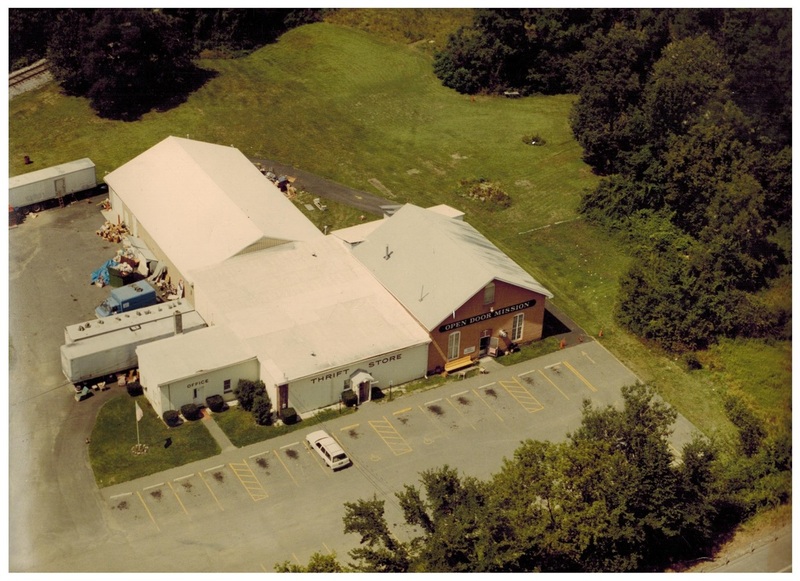 In 1991 a large addition was added to the building creating a warehouse as well as our current outreach department and food pantry. Around 2005 a second warehouse was built to help meet the need of the large number of donations the Mission collects and processes in our thrift store. The Mission's most recent expansion came in October of 2011 when the Mission purchased a second location in Waverly, NY. This location not only serves as a thrift store and coffee shop but also a community center for addiction recovery, hosting nine narcotics and alcoholics anonymous meetings weekly while the store is closed. The Red Door also holds an Open Mic Night every Friday a fun alternative to bars. In the fall of 2014 the Mission opened a second food pantry in Lockwood, NY in order to meet the needs of rural communities in the valley. This food pantry is located at the Methodist Church in Lockwood. We are also in the process of opening a third pantry in Waverly, NY for seniors in the summer of 2015! Today the Tioga County Open Door Mission staff and board of directors are as devoted as ever to serve the needs of all that come to our doors. The Mission is always looking into new ideas that help us meet our community's needs. Currently the Mission has started a massive recycling initiative through scrap metal, the funds raised from this program are going to the establishment of an endowment fund in order to ensure the Mission community outreach services for future generations in Tioga County. 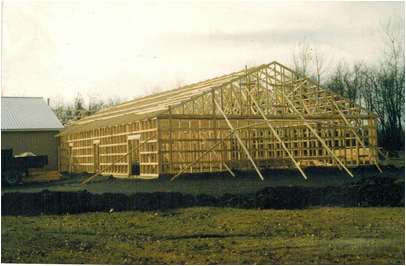 The Tioga County Open Door Mission is forever indebted to the truly giving souls that have supported its work since 1968, all that the Mission does and has become could not be possible without the support of our giving community.